It seems like revision 35 of Clockwork Empires, Enola Brimble’s Fine Day In Which Everything Isn’t Going To Explode has been a very well-received! We’ve gotten a lot of positive feedback about it, and we appreciate it; players are appreciating fewer slowdowns, script errors, glitches, stutters, or save errors. So, clearly, we’re making progress. Some folks are still having save game trouble, and we’re continuing to work on that as our #1 debugging priority (including the folks who don’t seem to be able to load save games at all?) – there are also some OS X speed and crash issues that we are currently debugging. However, we’re glad that people seem to be doing very much better with this latest build. As the time until the next patch is roughly three weeks away, it looks like we will be primarily focusing the next patch on quality of life improvements – again! 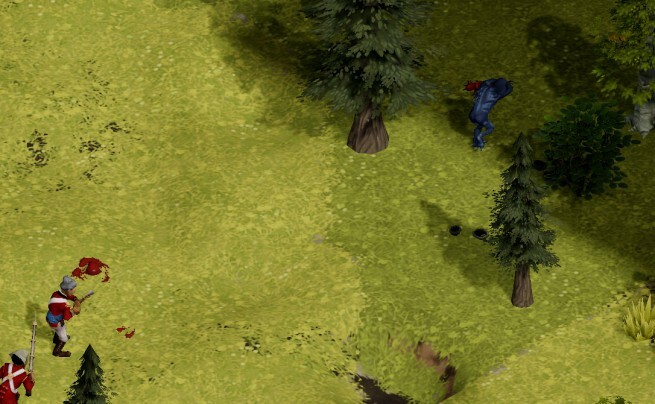 We’re rebalancing certain parts of the AI to try and clean up some odd behaviours with combat, social behaviours, and things not working correctly. We’re also just fixing a bunch of AI related bugs. One major quality-of-life improvement that is a new system, however, is fog-of-war, which is getting a rewrite. Also, fog-of-war is not technically a quality-of-life system. More specifically, it improves our lives, but it makes your life moody and depressing. The newly rewritten fog-of-war works like a proper RTS game should: you will stop seeing units in fog-of-war if you have no active units in fog-of-war. Once the fishpeople kill befriend your Naturalist, everything goes dark. Unlike traditional RTS games, buildings do not propagate visibility influences in fog-of-war: if your house isn’t occupied, who knows what’s happening in it? Mysterious, creepy things – that’s what’s happening in it. No one mentioned adding reloading to the game in this post, so I’m not going to mention it either. But there’s totally reloading. Stage one of the fog-of-war rewrite will be rolled out in the experimental branch shortly (probably today.) Stage two of the fog-of-war rewrite is dependant upon more multiplayer code, because each player needs its own concept of fog-of-war, and that needs a concept of more than one player. Stage three will then modify the remaining non-unit code so that if a tree is chopped down, that change will only propagate to a player who sees it when they actually see it (hence, your friend can defoliate your nearby woods and you won’t notice it until it’s too late.) This essentially involves keeping two sets of transformations for every static prop and machine in the game – the one that exists in the current view state, and the real one that we will update the game with once you actually see the thing. Basically, this is just a general plumbing job and very horrible. Until then, please enjoy creepy, moody, pulsating blackness. Yep, 35 was a nice step forwards from 34. Of course, the often forgotten detail is that any house or node not covered in fog of war is nibbled at by little cultish tree gnomes, eating away at their durability! Is that a Zardoz reference I spy in the tags? I hope we don’t have cultists wearing Sean Connery’s getup from that film. Or do hope that, and it causes sanity loss to witnesses. with 35 all pretty okay, I’m having trouble with the second rescue instead of saving goes in crash, bag with cemetery when reloading the corpses appear below the plaque and the rail point of exploring naturalist does not take off more, I have Windows 8, hi. A few Fog of War questions, from where you expect things to be once stage one is introduced. 1) Will line of sight be involved with the FoW rollout? Or will colonists be able to see the interior of a house as they approach the outside? 2) Will colonists remember faraway goods, or will they forget where all the logs are if they’re not nearby? I’m assuming the former but would like to know for sure. 3) What’s the range for FoW? At least part of prior player complaints about solider behavior seems to have stemmed from the very low ranges assigned to the relevant behaviors. I would hope it’s at least 30 of whatever distance units are called in this game. Cog-feet? 4) Real long shot, but at some point are sound and sight going to be tracked separately? 1) Probably not. It’s currently just a dumb x-ray vision radius, though we do plan on incorporating line of sight for walls and things at some point. 2) Yes, they will remember. 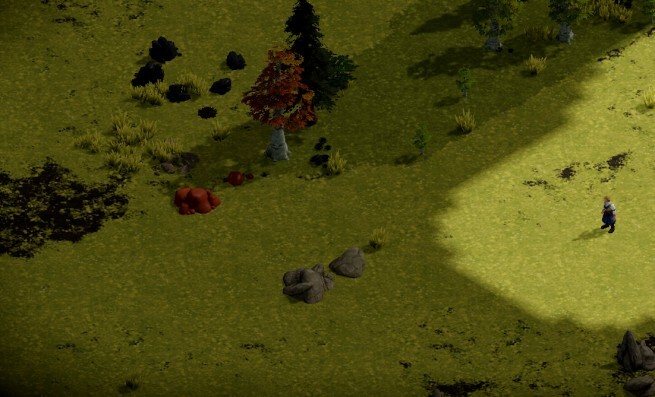 The colonists currently use a unified vision of a player’s “owned” things, and if something is hidden by fog of war, they’ll assume that it’s still there until they find out otherwise. 4) Technically possible, but we probably won’t do this. The time that it would take to set up the UI to make this clear will be more effectively spent in other areas unless we implement this in the distant future when we’ve already dealt with everything else. Glad to see you’re working on improving AI. Stupid AI is the nails in the coffin of most games.